White rice is the most common food staple in the world. In fact, most cultures eat white rice several times per day. Unfortunately, white rice has generated a negative reputation because of over-processing. The fact is, rice is not naturally white. The grains are refined to a point that they lost virtually 95% of their nutrition and minerals. This is the reason why brown or black rice is superior to white rice. White rice is processed to improve its shelf life. Curious about the pros and cons of eating white rice? In today’s post, we are listing down the advantages and disadvantages of white rice. Unlike brown or black rice, white rice is resistant to oxidation. As a result, it takes a longer time for white rice to go rancid, as opposed to brown rice. For instance, white rice remains edible for a week after it’s been cooked. On the other hand, brown rice goes bad a day after it’s cooked. White rice is rich in simple carbohydrates. Unlike complex carbohydrates, simple carbohydrates are quickly converted into energy by the body. The carbohydrates in white rice help energize the body and boosts the organs’ metabolic activities. White rice does not contain harmful fats that could cause heart disease. It contains zero cholesterol and sodium. Foods that are low in fat and cholesterol cut the risk of arterial and heart disease. Because white rice is low in sodium, it won’t aggravate the condition of those afflicted with hypertension or high blood pressure. Sodium causes the arteries and veins to constrict, limiting blood flow. And when this occurs, the heart works extra hard to pump blood all over the body. As the heart works harder, pressure builds up in the veins, causing damage on the arterial wall. Eventually, elevated blood pressure could lead to atherosclerosis, heart attacks, and strokes. 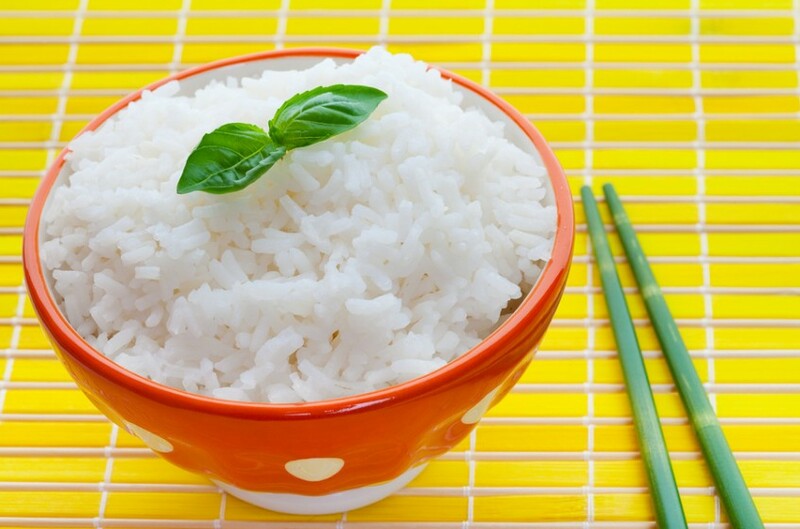 Did you know a 100 gram serving of white rice is equivalent to 86 grams of sugar? White rice is composed mainly of simple carbs, which is the bad kind of carbohydrates. Although white rice offers quick energy, it spikes up the blood sugar level in the body. This triggers sugar crashes, leading to overeating. Simple carbs are also linked to obesity. Time and again, health experts warned the public about the dangers of processed foods. White rice no longer contains beneficial nutrients because its husk, bran, and germ were removed. Essentially, the grains are made up sugar. Unlike brown or black rice, white rice is rich in empty calories. And eating a lot of rice could lead to chronic diseases, including diabetes and obesity. Because white rice starch is also viscous, it’s harder to digest. This leads to digestive discomforts, fatigue, and indigestion. It’s also low in dietary fiber. Fiber is an essential nutrient that aids in digestion and prevents heart disease. It also regulates the digestive system. White rice also lacks essential nutrients to a point where it disrupts body processes.